Summer is here and that means that I have to drink more water. I know water is the best way to hydrate your body but I get tired of plain old boring water. I just want something to drink with flavor but the problem is most drinks are loaded with sugar or if they are sugar-free then they are loaded with chemicals. I find it hard to drink enough water and sometimes have to force myself to drink water. So how I am going to keep hydrated when I get tired of drinking plain water? I have found new natural fruit flavored water enhancer that is convenient, sugar-free and gluten-free. These drops also have no artificial ingredients in them. I love that I can add flavor to my water with a natural product that gets it sweetness from Stevia, a natural sweetener. The SweetLeaf® Water Drops™ come in a small bottle that fits in your pocket or purse. A couple of squirts gives your water a great taste and helps you drink more water. I did not find any bitterness or aftertaste when I placed the drops in my water. These zero calories, zero carbs, and non-glycemic water drops come in 4 wonderful naturally fruit-flavored blends. As mom, I love that the drops are clear which means no artificial colors or dyes to stain my kids clothes. My favorite flavor is the Peach Mango and my boys love the Strawberry Kiwi. The Raspberry lemonade and Lemon Lime make my water taste good too. 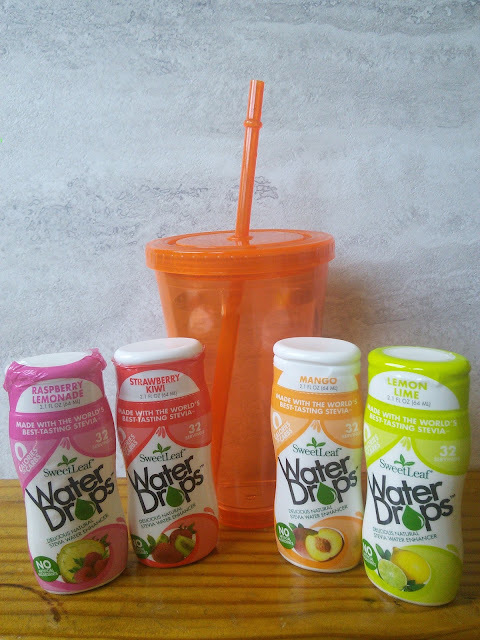 So whether you are watching your weight, avoiding sugar or diabetic these drops are the awesome way to flavor your water so you will want to drink more water. 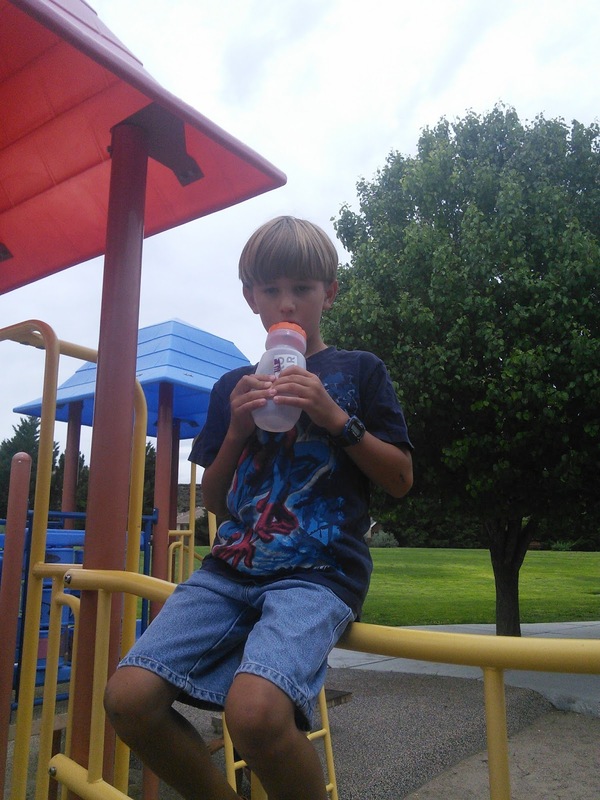 My boys and I love taking these fruit flavored water drops with us when we go to the park. I find that my boys will drink more water when the water has flavor in it. When it is hot out I don’t want my boys getting dehydrated so I just let them squirt these yummy drops into their water bottles. My boys then guzzle down their bottle of water. 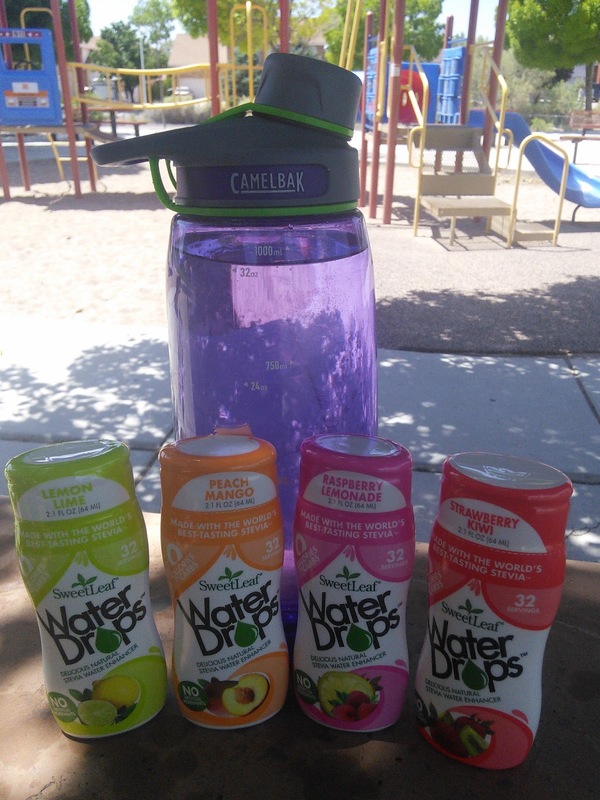 Check out the SweetLeaf® Water Drops™ website for more information on these yummy water drops. While you are there you can find out where to buy SweetLeaf® Water Drops™. I received this product for free from the sponsor of the Moms Meet program, May Media Group LLC, who received it directly from the manufacturer. As a Moms Meet blogger, I agree to use this product and post my opinion on my blog. My opinions do not necessarily reflect the opinions of May Media Group LLC or the manufacturer of this product." Wasn't familiar with this brand, but we've been searching for something to liven up our water. Will look for it! I love these! I love flavoured water. I'll be looking for this in the grocery store! Can you get these in the regular market? My hubby HAS to have flavored water and I hate the water enhancers that he buys. I haven't heard of this or seen it in our stores but my hubby has to have his water flavored. This would be nice to have when we're not home and carrying water bottles, thanks! I haven't heard of this brand, but my daughter and I love the water sweeteners. I will have to check and see if this is on the shelf at my local grocery store. Thanks for sharing!!! I've never heard of this product before. I like to drink flavored water products. I have been using Crystal Light for years. I'll have to give this product a try.